What’s great about Journey to Babel is its world-building, on both macro and micro levels. In the big picture, we get multiple alien races — Vulcans, Andorians and Tellarites, among them — and the end result is a broader sense of exactly what the Federation is, internal politics and all. 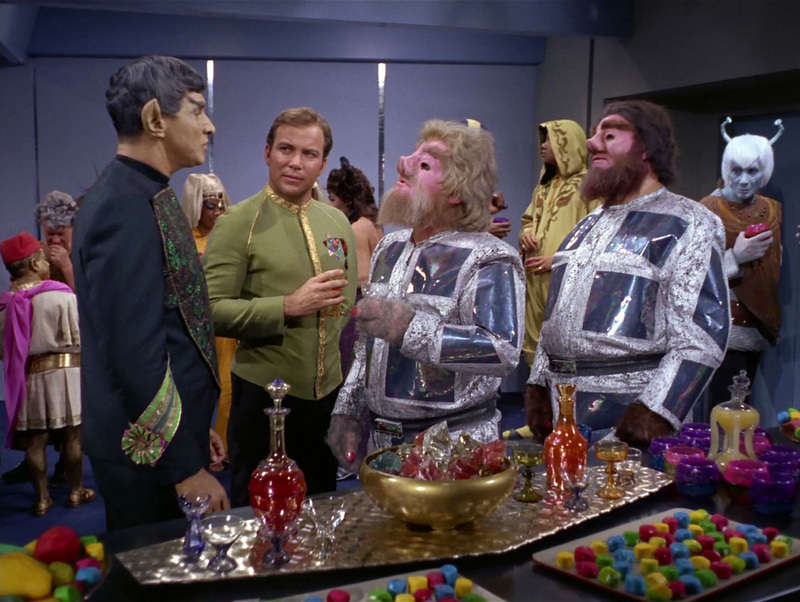 The captain’s reception alone presages Mos Eisley by a decade, with its colorful assemblage of differing species. Your typical Star Trek episode may involve the Enterprise encountering a single race or planet, but this entry provides compelling insight into the larger Trek universe. 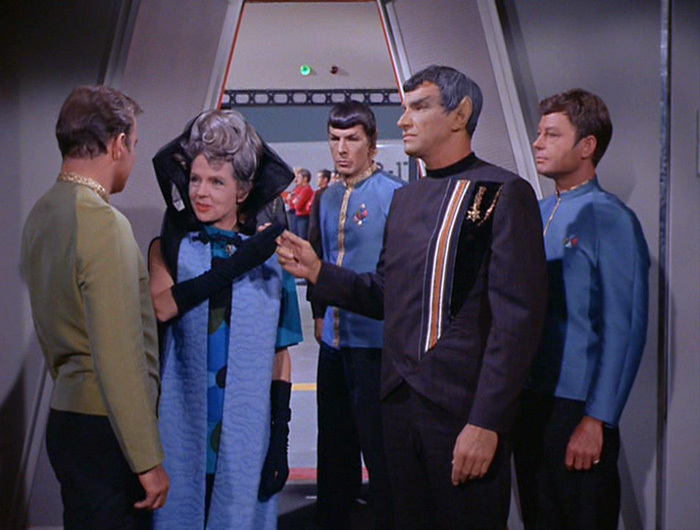 Then there’s the more focused aspects of the episode, namely Spock’s conflict with his father, Sarek, and the moderating influence of his mother, Amanda. No episode besides Amok Time gives us a clearer window into the Vulcan way and Spock’s role in his society in general and his family in particular. Elements of this episode have endured for decades, with the Spock-Sarek-Amanda emotional triangle revisited in the first Trek film series, The Next Generation, and the current film series. And yet Kirk has plenty to do too as he has to hold everything on the ship together professionally and, where Spock’s concerned, personally. Beyond all that, there’s action, suspense and a mystery. 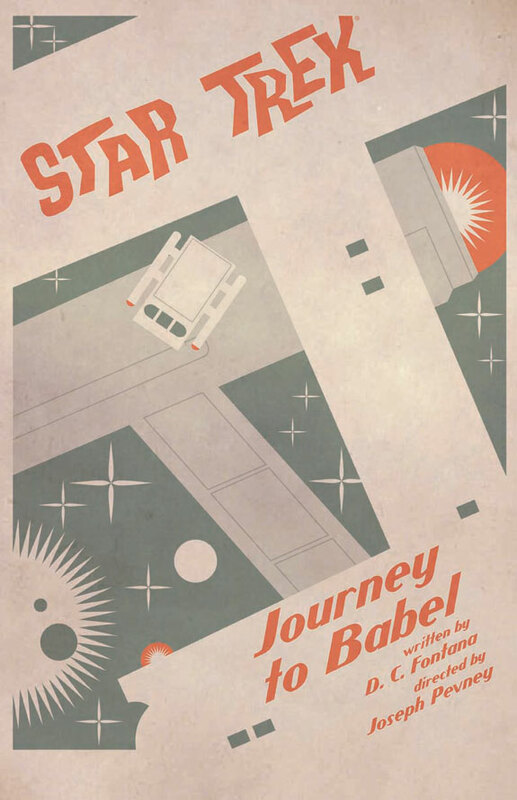 Journey to Babel is a corker, packed with rich texture and intrigue. Few Trek episodes offer more. NEXT: The City on the Edge of Forever. Click here.